Veteran Owned. Woman Owned. Shipping Worldwide. Trust the magic within you and wield it well, my daughter. 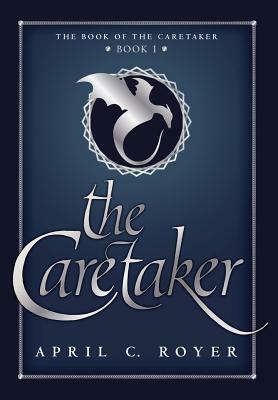 Sixteen year old Morgan leaves Earth behind when her magic awakes to accept the duty of Caretaker to the dragons and people of Chemerie. With no formal training, she lets her magic lead her and devotes herself to serving her country as skillfully as the women of her family had done for centuries. When Lord Harrick brings war to Chemerie, Morgan endures the suffering and death of many of her brethren. Being connected to the knights and dragons as their spirits go silent is an agony she could never have imagined. That pain drives her to wield her magic with greater skill and she soon surpasses her foremothers in every way. As she grows more confident in her skills, she allows herself to embrace the magical link she shares with a handsome knight, Sir Alec. The powerful link they share allows her to accept his love and support, but their love makes him her greatest weakness. Lord Harrick's forces capture and torture Sir Alec, leaving him poisoned with dark magic. Despite all she has achieved, Morgan finds herself useless against the darkness consuming him. Without Sir Alec, her bloodline ends. Without the magic of the Caretaker, her country will fall. Is Morgan the last Caretaker of Chemerie. Or will she be the first to stand between her country and the darkness?